 As well as exploring and celebrating global music and culture, WOMAD, at Charlton Park, near Malmesbury, in Wiltshire from Thursday 25th to Sunday 28th July 2019, is about discovering fun and fascinating facts about the world we live in and beyond; from the night sky to dystopian futures to the physics of our everyday lives. The World of Physics is back for 2019 and with an exciting new venue, the Cosmodrome. Provided by the University of Hertfordshire, the planetarium has a daytime programme of topics in astrophysics such as black holes, the nature of dark matter and how galaxies form, and as night falls a crack team of astrophysicists will be on hand to point telescopes at some of the most beautiful sights in the cosmos and answer questions from the audience. There will even be late night showings of full dome visualisations of the Dark Side of the Moon and Holst’s Planets. There's an insight into the world of cosmic film-making, as visual effects expert Graham Jack and his team discuss their work on smash-hit Interstellar and how they managed to combine visual storytelling with theoretical physics. Also taking place is live doodling and conversation from the authors of ‘We Have No Idea: A guide to the Unknown Universe’ Jorge Cham and Dan Whiteson and even a live link to the CMS experiment at CERN. Minds will boggle and brains will be busted down at The Discovery Zone, with the climate, space exploration and electricity all being explored through incredible virtual and augmented reality, hands-on experiments and daring demonstrations. Visitors will be transported to other planets and far-flung galaxies as they have the chance to journey through the Solar System and even walk on the surface of Mars. You’ll also be able to interact with the “Accelerator in the Sky”; an installation that simulates particle collisions with lights. It’s Crash Bang Wallop at The Lab, which is packed with loads of hands-on workshops for festival-goers to get stuck into; including the Physics of Spider Webs, moon landing board games, the Physics of Beer, how to be an astronaut and more! Music at WOMAD includes Ziggy Marley; Orbital; Anna Calvi; Salif Keita; Cymande; Tshegue; Brushy One String; Delgres; Petite Noir; Les Filles de Illighadad; Dhafer Youssef; Nadine Shah; DakhaBrakha; Canzoniere Grecanico Salentino; Liniker e os Carmelows; Ustad Saami; Meute; A Change is Gonna Come; Soothsayers; Orquesta Akokan; Channel One Sound System; and more, with more to be announced. For the details as available please see the line-up page.